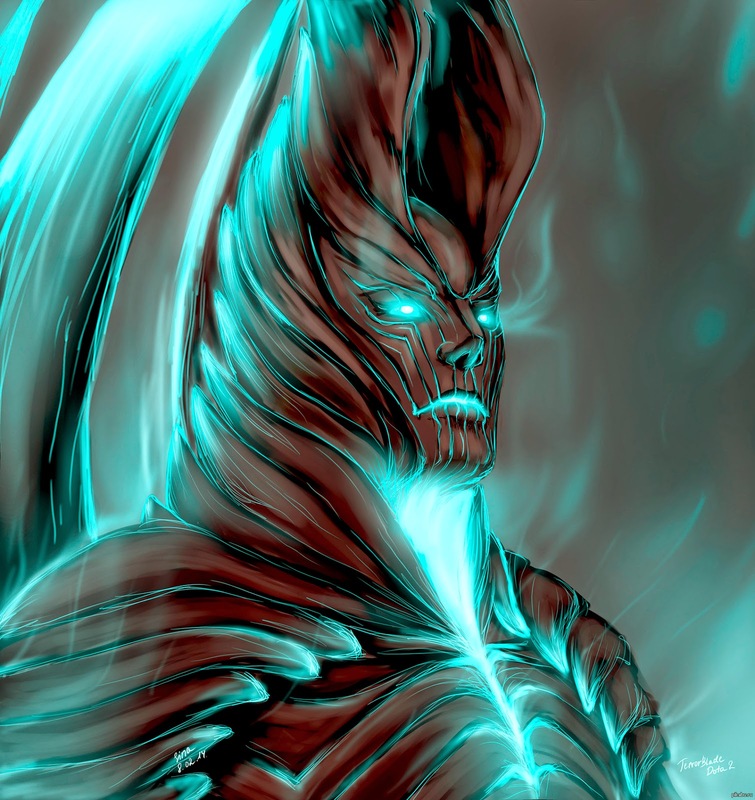 Terrorblade main power lies in the Metamorphosis ability which gives him so much damage. 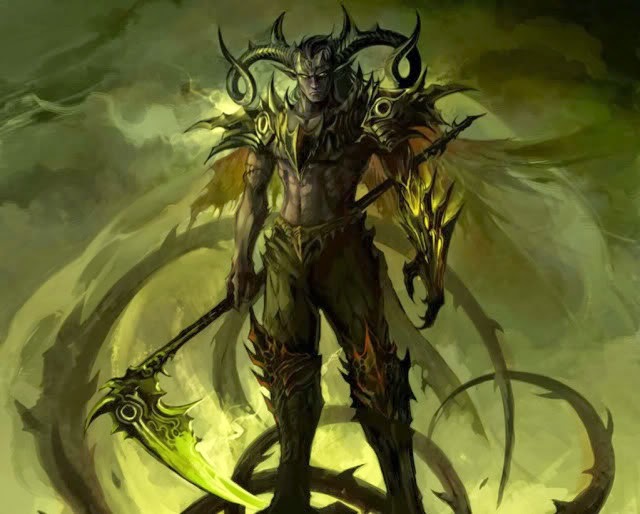 While he is in demon form, he gain so much damage to be able to destroy everything. He also make lots of illusions that deal damages and also makes enemy confused. His ultimate is a skill that instantly swap HP with his target, makes him unkillable. His other ability is a slower that makes his target can't escape from him. A decent slower for a single target Beware of some burst damage like Epicenter, dagon, etc. Terrorblade brings forth an invulnerable dark illusion of the targeted enemy Hero. The enemy Hero is slowed and attacked by the illusion for a short duration. This skill is a single target slower skill to set up a kill for you. When the enemy is slowed by this skill, you can coneniently attack him. Also you can use this to escape from enemy. Creates a clone of yourself. When you are on metamorphosis mode, the clone is also in a metamorph model and has the big attack damage. You can create 1 illusion per 16 seconds so you can creates a total of 2 illusions. Use the clones to helps you destroy towers and also makes you wins some teamfights. Terrorblade transforms into a powerful demon with a ranged attack. This is your most powerful ability. When you click this ability, you instantly become a ranged demon that has ultra big damage. You can easily destroy towers in this form. Don't forget to make some illusions right after you become the demon. Severs the soul from both Terrorblade and a target Hero, then exchanges them, carrying a percentage of each units' life force. The target Hero is also dealt a ministun. Some hit points must remain. Swap Hp between you and a target hero. You can swap either enemy or friend. Use this when your HP is low and make your HP become full again. A very nice survivability skill that guarantee a longer life in a teamfight. This build is focusing on maxing your Metamorphosis first for maximum damage. You can then max Conjure Image and Relfection after it. As a carry, of course, you have to farm diligently in the early game. But unlike some other carry that usually are weak in the early game, you can be very strong because you have nice abilities. You can easily zoning enemy with these skills so enemy can't come close. When you are on a demon form, your enemy instantly afraid and runs away so you can farm conveniently. Either with your other 2 skills, when you use that, your enemy usually runs from you. On mid game, you should focus on destroying towers. You can use metamorphosis and then conjure image to create some illusion and easily destroy towers. Destroy towers means your team gets lots of golds and also get them map control. Since you successfully destroy some towers, you will gets tons of golds advantage so you better surround your opponent's jungle and siege them. As a carry, on the late game stage you should already acquire some good items and should be able to carry your team into victory. You have high damage, and also multiple illusions, so technically you will be able to deal tons of damage in every teamfight. Prepare for a big teamfight. Get ready to always metaporph and multiply yourself. In a teamfight, always focus fire on enemy supports since it will be easier to kill them. Stout Shield: to block some damage and makes you tankier on earliest stage of the game. Magic Wand: Can saves your life in a dangerous situation. Drum: Gives some attack speed, and also movement speed. as well as gives some additional stats. Skadi: Gives a powerful slower that makes enemy can't get away so you can kill them. Satanic: Gives a nice survivability in a late game teamfight. If you have an enough space and time to farm, this iteam is a great choice for terrorblade. It gives an aoe of 40 dps for your illusions. With that you can push even faster and gets lots of farmability. Gives movement speed and also a slowing aattack. Very good for a carry. Will helps you in moving faster and slowing your enemy's movement speed. This item is an alternative for manta Style since the yasha is the same component. He counters you because he have Echo Slam. So he can destroy all of your illusions at once. So be careful of him. He have replicate to copy your illusion. And also he usually buys linken so you can't always use your Sunder on him.